James Ramsden ran a super-popular supper club until about a year ago - it was the supper club featured in Russell Norman's TV show The Restaurant Man. 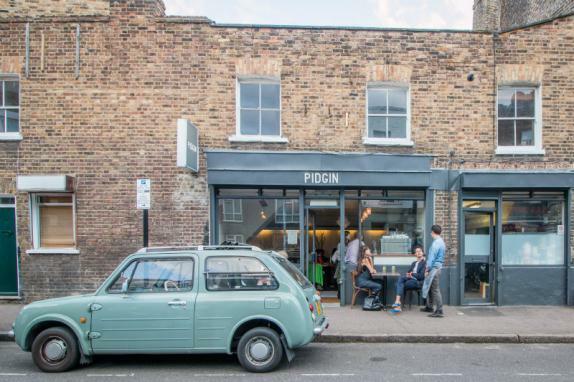 Now he and Sam Herlihy run the restaurant Pidgin in Wilton Way, Hackney, and every month they'll be running a 'back to front' supper club for charity. It's 'back to front' because for this one night a month the chefs do the serving, and the front of house staff do the cooking - it sounds like a lot of fun! 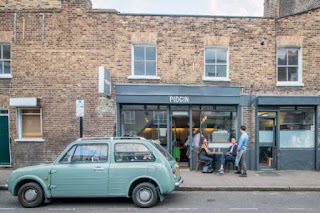 "A monthly charity night at Pidgin in Hackney hosted by Owners James Ramsden and Sam Herlihy themselves! On the first Monday of each month Pidgin is going back to front. Owners James Ramsden and Sam Herlihy, who ran the hugely popular Secret Larder supper club, will be getting back in the kitchen with their front of house team helping out, while the cooks see what it's like running a dining room. There will just be one sitting that will include a four-course dinner, wine, and all the other bits and pieces that make Pidgin special. Most importantly, every penny of profit will go to charity. This month that charity is the marvellous Action Against Hunger"